The OPPO R17 Pro is now official in the Philippines. The handset has three rear cameras, two batteries, and an in-display fingerprint scanner. 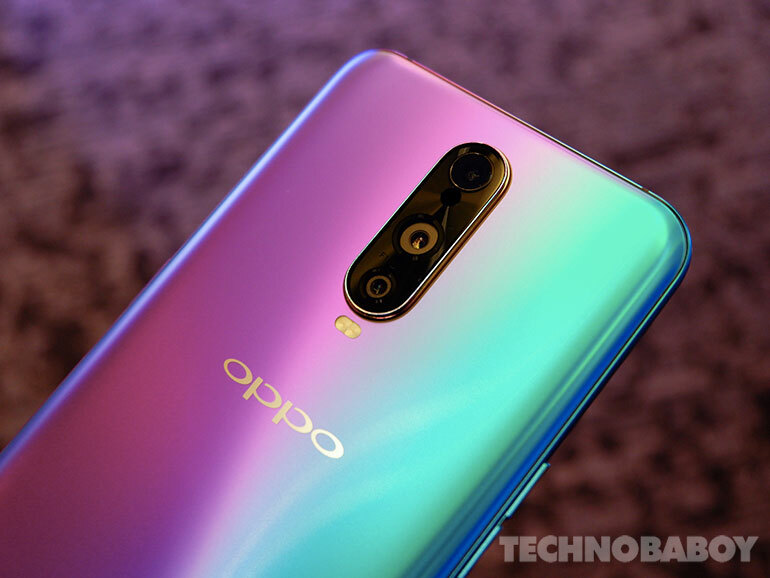 OPPO Philippines finally unveiled the OPPO R17 Pro at a launch event held at the Marriott Grand Ballroom. We knew the phone was coming to the Philippines. We just didn’t know the price. But last night, we finally got our answer. The OPPO R17 Pro is priced at PHP38,990. It is now available for pre-order until November 23, with availability set on November 24, 2018. The handset will come with PHP2,990 worth of freebies. You can also purchase the handset using your BDO credit card. They offer 0% interest up to 24-months installment. This one will come with a free Rockspace Bluetooth Earphones. The OPPO R17 Pro comes with a triple camera setup of 12MP + 20MP + 3D TOF at the back, and a 25MP shooter in front. The main camera has a variable aperture of f/1.5 – f/2.4. It comes with a 6.4-inch full HD+ AMOLED display with an impressive 91.5% screen-to-body ratio and an in-display fingerprint scanner. Inside, the phone is powered by an octa-core Qualcomm Snapdragon 710 processor with 8GB RAM and 128GB storage. The R17 Pro has a glass back and a metal frame. It also comes with two 1,850mAh batteries that equal 3,700 mAh. The setup allows faster charging. The 50W SuperVOOC fast charger can reach 40% charge in just 10 minutes.